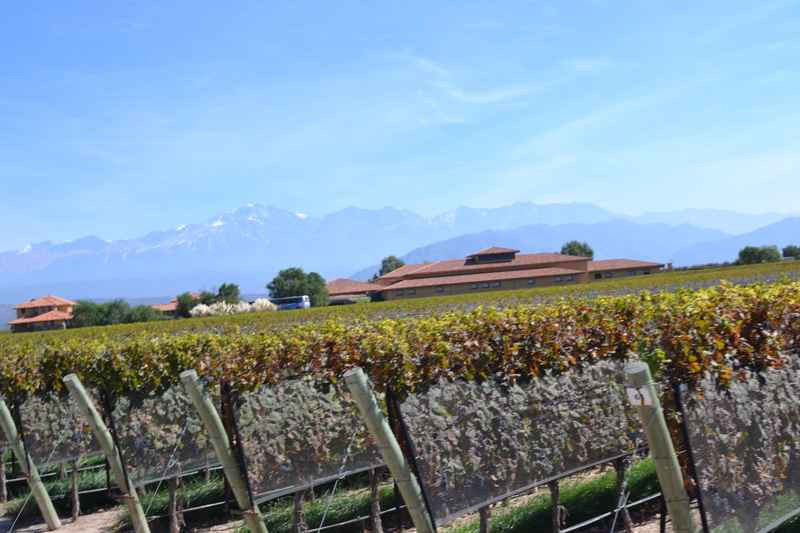 Mendoza, Argentina is situated near the border to Chile, separated by the Andes Mountain range. Aconcagua, the tallest mountain South America, is located nearby which makes this a popular destination for mountain enthusiasts. 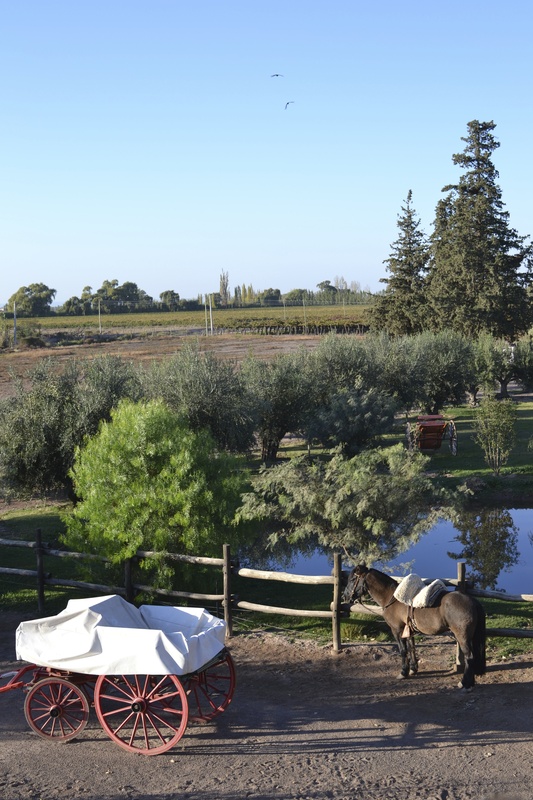 It also has very little rainfall, making it a perfect climate for wine! I didn’t know much about wine (other than trying a glass and knowing if I liked it or not) so I decided to try some wine tours while in wine country! How fortuitous that the one type of wine I know I can count on enjoying (for reasons yet known to me) Malbecs, is one of the wine varieties that Argentina is famous for. 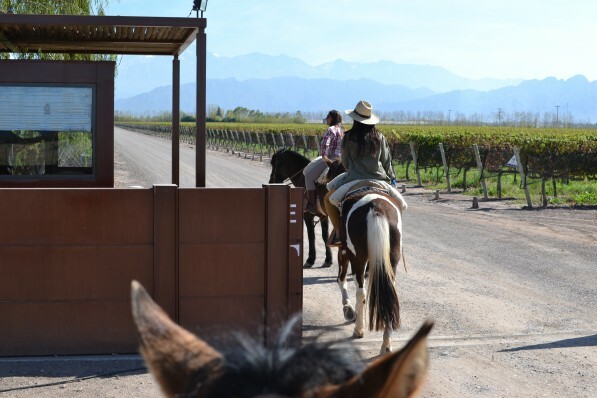 Combining horse-back riding with wine tasting! Riding through the grapevines and vineyards with beautiful mountain ranges in the background = bonus! 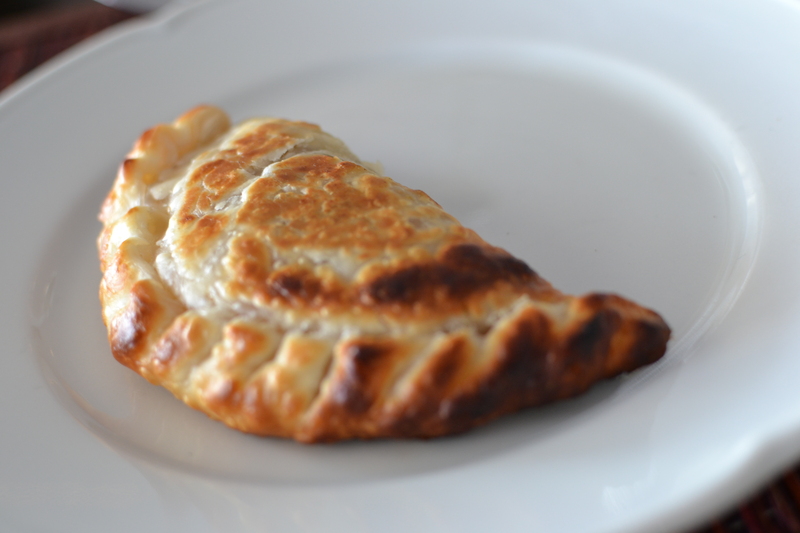 What a great way to learn about wine and Mendoza: over delicious food with wine pairings! 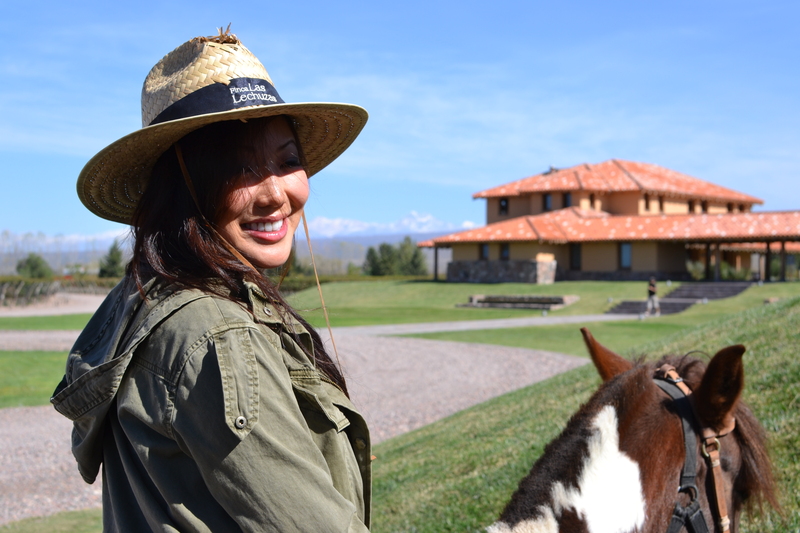 We had just arrived from Chile, and planned this horseback ride early in the morning. The sky was so clear you could even see the moon! 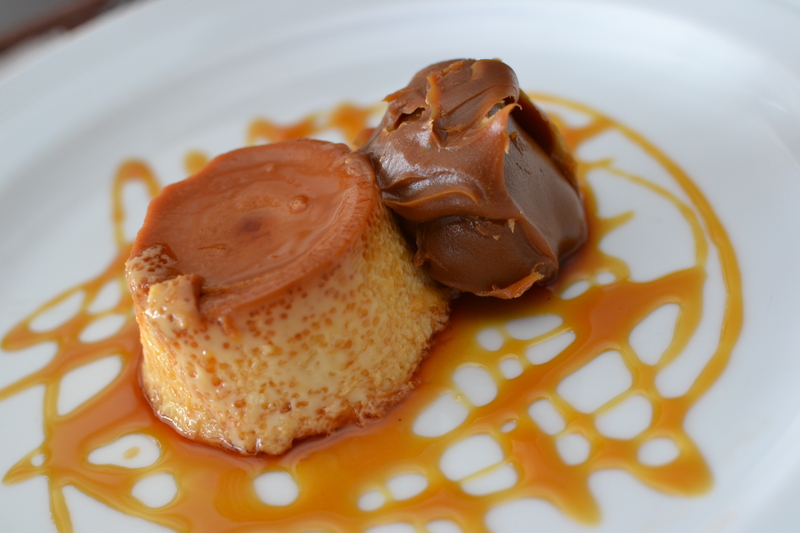 We had a quick breakfast which was included with our hotel (very common) and immediately noticed that food is incredibly sweet in the land of dulce de leche. A driver picked us up from our hotel right on time and off we drove for about 20 minutes outside of the main city centre. Upon arrival, Mailen (who runs the company, Finca Las Lechuzas) greeted us warmly and offered us some breakfast and drink including the traditional herbal tea, mate. 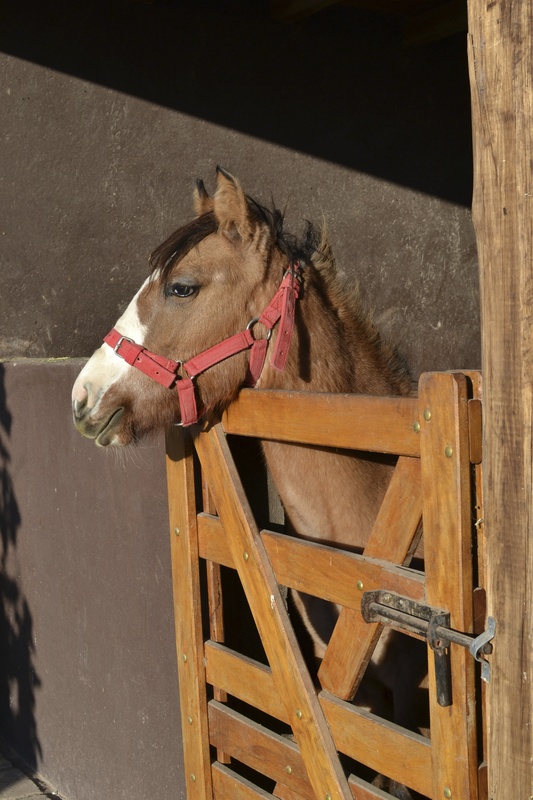 I met one of the baby horses – less than a year old! 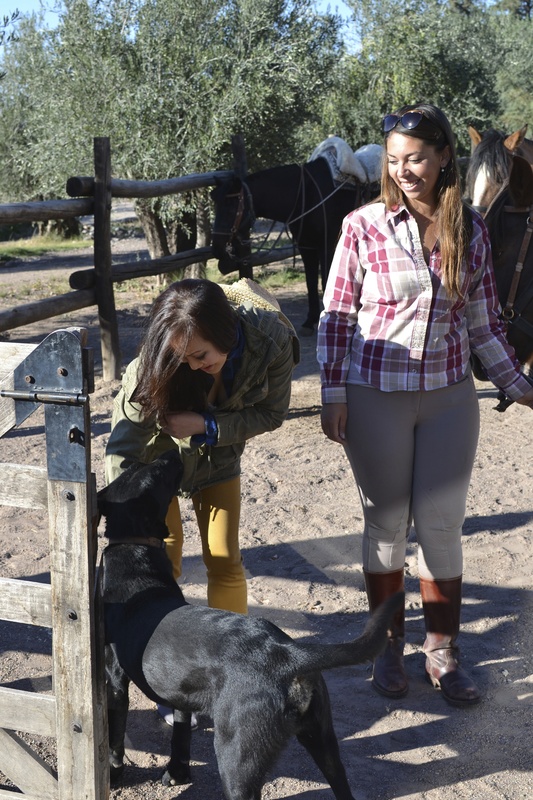 The dogs around the premises were very friendly. Mailen gave us a tour and let us settle in a bit before we embarked on our ride! The saddles were pretty comfortable and there was extra room in the saddle bags for my large camera gear. She explained that the horses would test us by trying to stop and eat and we needed to show them that we wouldn’t give in early. She also taught us to hold the reins and to pull right, to go right and left, to go left. Sounded easy enough! Along the way, Mailen spoke to us about the horses, the location, her studies and of course, the wineries! She pointed out different varieties of grapes and even pulled some off the vine so we could taste some. Yum! 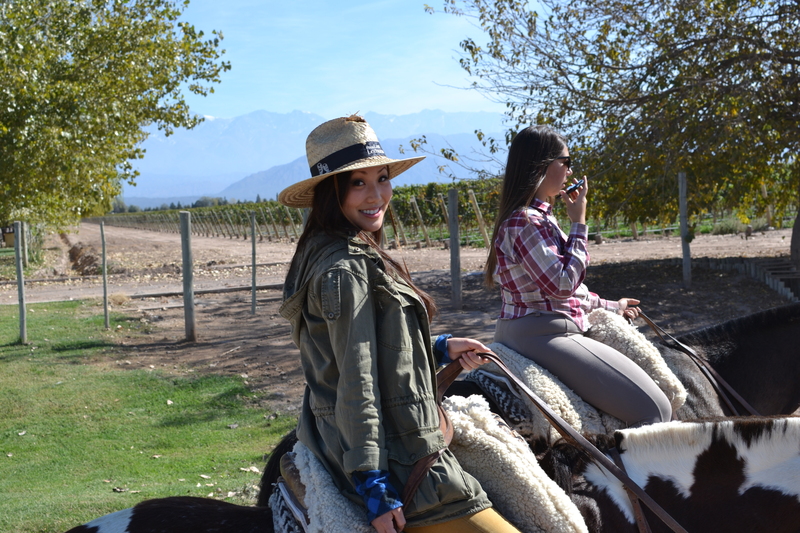 At one point, she told us each to pick an individual trail among the grapes and we trotted through the grapevines. The whole time I was completely taken away with the scenery and beautiful autumn colours. We were approaching our first stop when Eric realized he lost his phone! Mailen was very understanding and apologetic and galloped away to try to find our phone. We really appreciated this especially considering this was no fault of hers and she was going the extra mile by helping us. 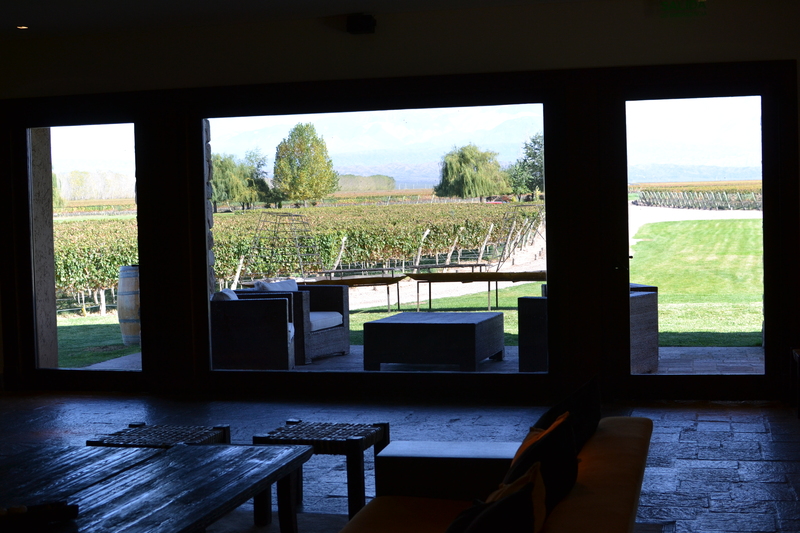 Our first stop was an expansive winery with a breathtaking backdrop: Finca dechuras. 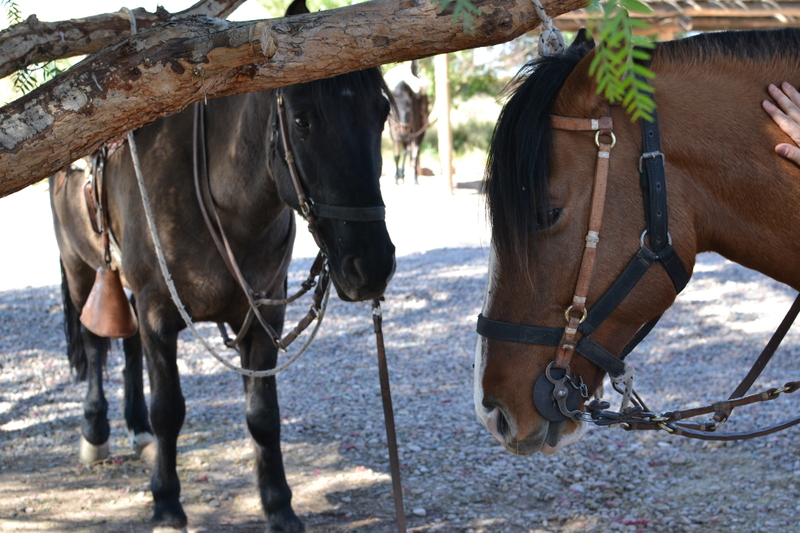 We got off our horses, found them some shade and made our way to the tasting lounge of the winery. 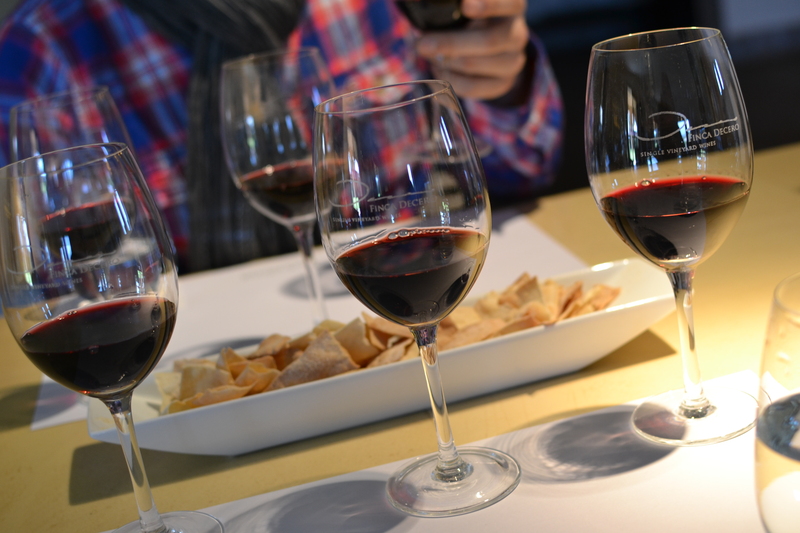 We sampled generous portions of wine including my favourite: the petit verdot! After the sampling, we were led on a tour of the facilities. 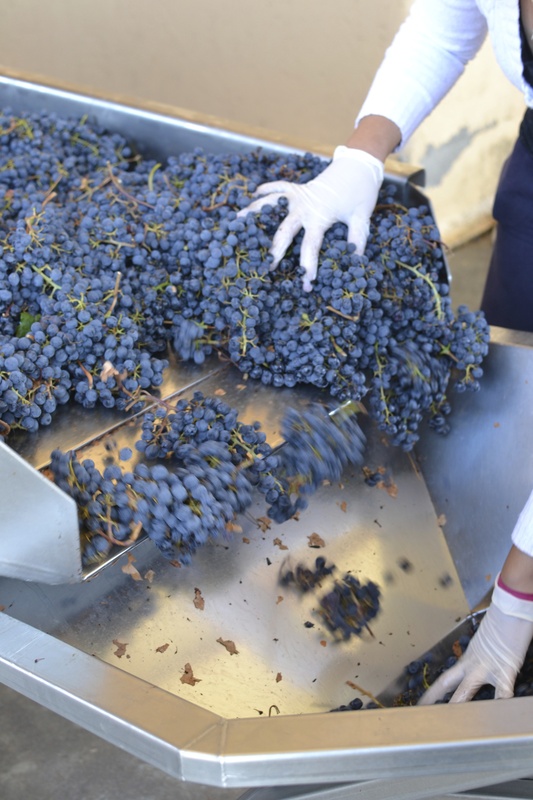 We saw the grapes being sorted and crushed. We also went inside to see the different stages of wine production and the cellar where it was all stored in oak barrels. Finally it was time to get back on our horses and towards the next winery where we would have lunch! It looked very modern and I noticed a small sign that showed the fee for entrance. 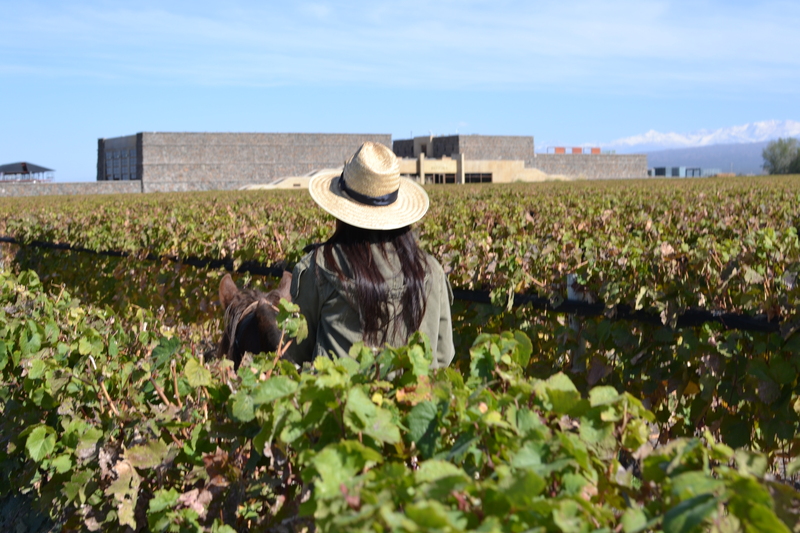 We took another path through the grapevines and then gave our horses a break and made our way up to the winery. We were seated immediately for lunch and I was very impressed – I thought we were going to have a BBQ over a fire pit, not eat in a classy restaurant. 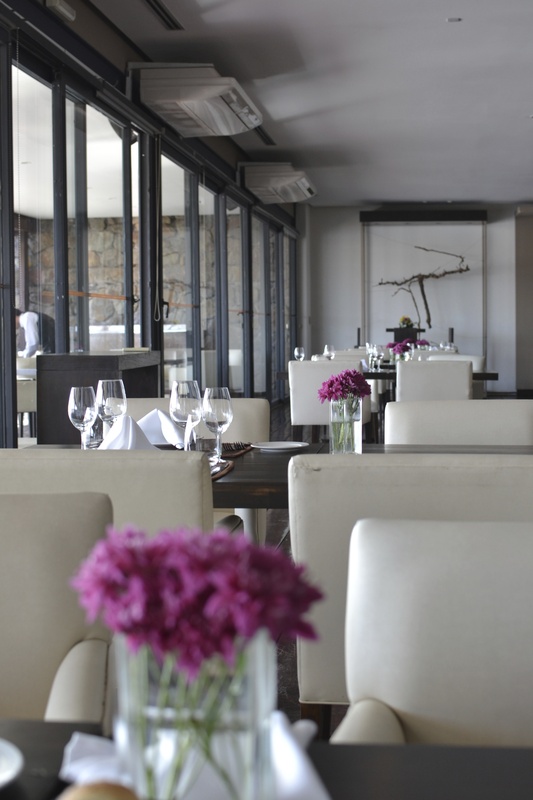 It makes sense now though, that they would want to serve the wine pairings in a nice atmosphere alongside the food. Since I already had a Chilean BBQ Asado experience (And it wouldn’t be my last!) I was very happy with this experience. 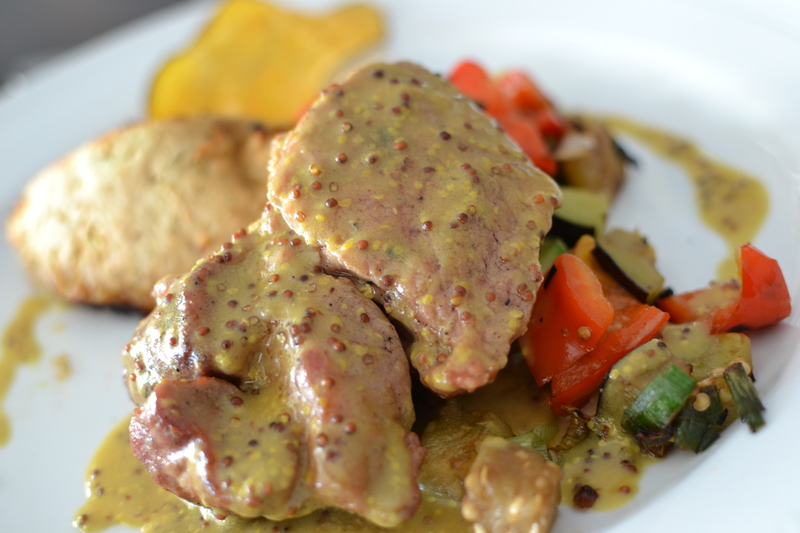 We chose from a set menu with a starter, main and dessert with several choices for each – all were delicious! 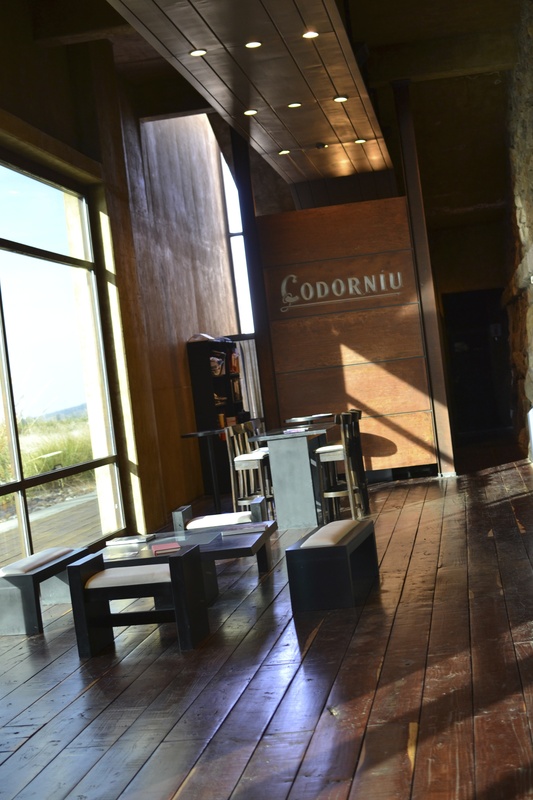 We actually had third stop at a sparkling winery on our itinerary, but Mailen noticed how much fun we were having over lunch and let us make a choice: we could wrap up in the next 20 minutes or skip the sparkling wine and relax here. I appreciated her flexibility and insight and we chose to simply relax. We also happened to know that we would be doing another wine tour in a couple of days and wanted to enjoy the nice atmosphere. We even went outside to the patio over espresso and more dessert! What excellent service! 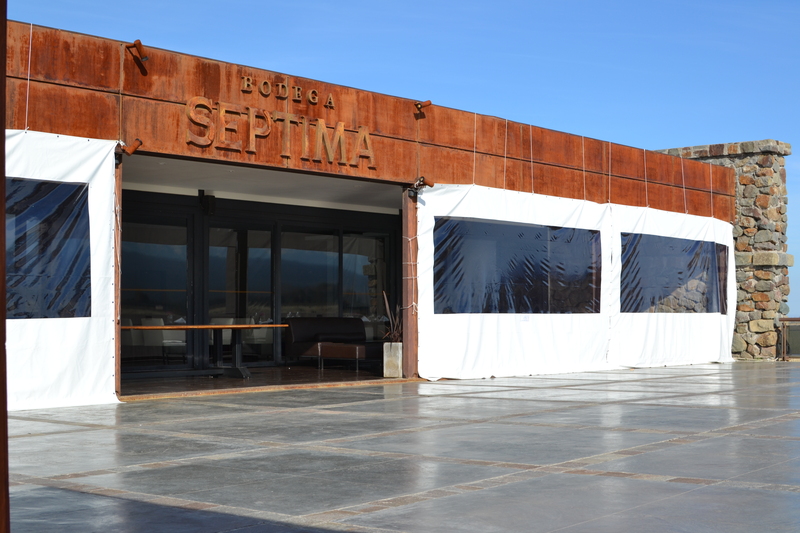 After this decadent lunch experience, we walked around the facilities and we were taught more about wine production. This is where I learned about the difference between French Oak and American Oak (French is smoother, and more expensive!) and we finished off in the gallery and bought 2 bottles of wine (the two that we enjoyed the most at lunch)! After a wonderful day exploring the wine region, we were now full and sleepy! Mailen and us parted ways and as she introduced us to the driver who would be taking us home, we realized he was the driver from the airport the previous night! What a coincidence! I was having problems with my phone charger and asked him if he could take us somewhere to get an adapter – I learned earlier that Chilean plugs are not made the same is Argentine outlets! He stopped off at a hardware store that I would have never found on my own and got me an adapter for $2. Back home, I’m pretty sure I pay over $10 so I was really grateful to him for showing us this place! I left him a generous tip and asked if he could drive us again the following day. 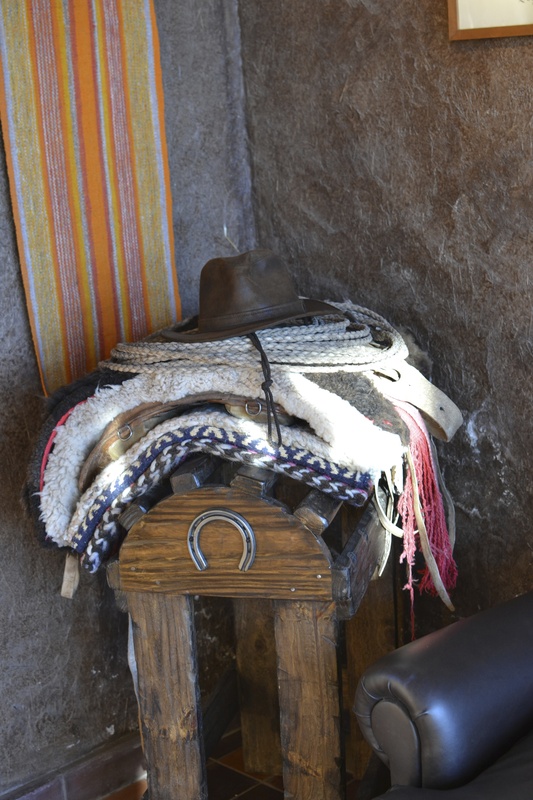 We would be moving on to the boutique hotel, Lares de Chacras where we would be spending our “quiet day” in Argentina (aka it was Labour Day in Argentina so everything would be shut down) – we figured this would be a good time to spend relaxing somewhere nice. He agreed to pick us up and with that, we were off to rest after a very fulfilling day!